I am quite fortunate that Mark Scruton, the art director responsible for these beautiful sets, agreed to answer a few questions about the movie itself and the industry in general. 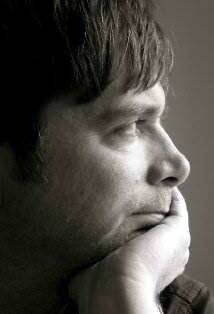 Mark: I’m a freelance Art Director living and working in London. I wanted to work in the film industry ever since I watched “Krakatoa: East of Java” at the age of 6. 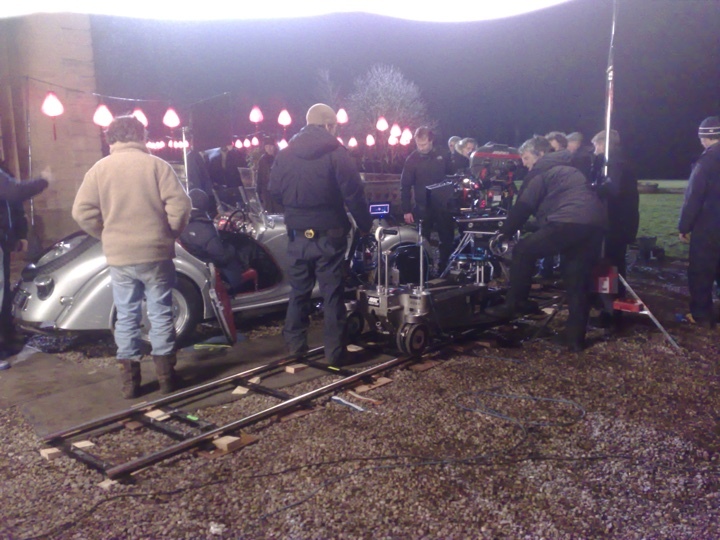 I trained at the Bournemouth Film School and have been working in the industry for the last 15 years. In that time I’ve had the privilege to work on a wide selection of challenging projects. Kirill: Can you elaborate on the initial design phase where you work with other production departments to define the visual language for each movie scene? Mark: Filmmaking is always a team effort. One department can never exist in a vacuum. This was especially so on “East Virtue”. Stephan Elliott, the director, had very clear ideas on the look and style of the film right down to specific dressing and even colours. Obviously this was a period movie, which gives each department an immediate starting point but Stephan wanted to play with this. He wanted to use a more modern style of filming and he wanted to play with the period look to establish the differences between the characters. John Beard the designer, Niamh Coulter the set decorator and myself spent a long time in pre production visiting locations with the director and DOP (director of photography) trying to find just the right style of environment that also gave him the angles and relationships within the layout for what he wanted to achieve. There is no point in finding an amazing location if you all turn up and you can’t film it! Kirill: Do you spend time designing and refining a complete set, even if some parts of it will never be captured on camera? Mark: Yes, more so these days than ever before, for various reasons. 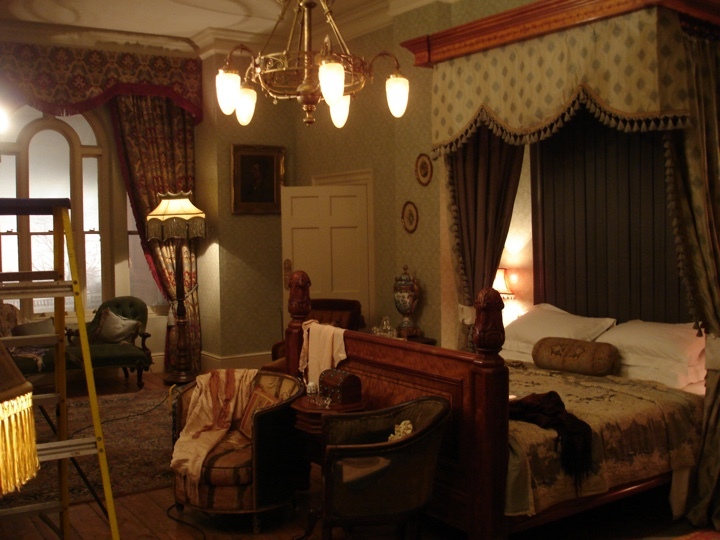 Attention to detail and creating a “complete” environment is vital if a set is to be believable to an increasingly sophisticated audience but also to the cast and to some extent the crew as well. Film making is a lot more organic than it used to be and there is never any guarantee that when a director arrives on set he won’t turn his camera 180 degrees in the opposite direction, so you have to be covered. That said if it’s a tiny scene and you have a limited budget you have to try and cut your cloth accordingly. It’s always a bit of a balancing act. 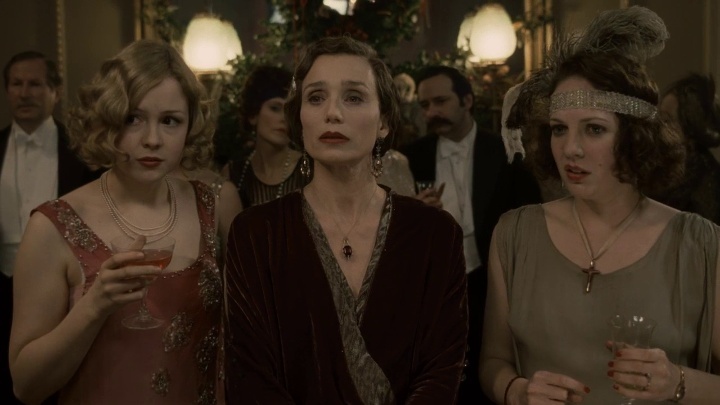 Kirill: “Easy Virtue” takes place not long after the First World War. How do you research and recreate a look of days long gone? Do you strive for complete authenticity? Mark: When you’re doing a period film the design is entirely led by research and you always aim for complete authenticity. Research is normally a mix of reference books, expert advice and personal knowledge. 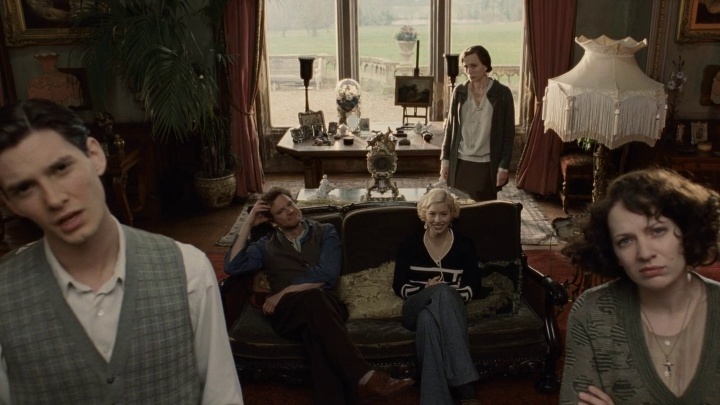 On “Easy Virtue” things were a little different though, as Stephan wanted to emphasize the difference in the characters using amongst other things, the props and dressing. So we had a bracketed time period rather than one specific date. The idea being that the Whitaker household was at one end and Jessica Biel’s character, Larita was very much at the other. 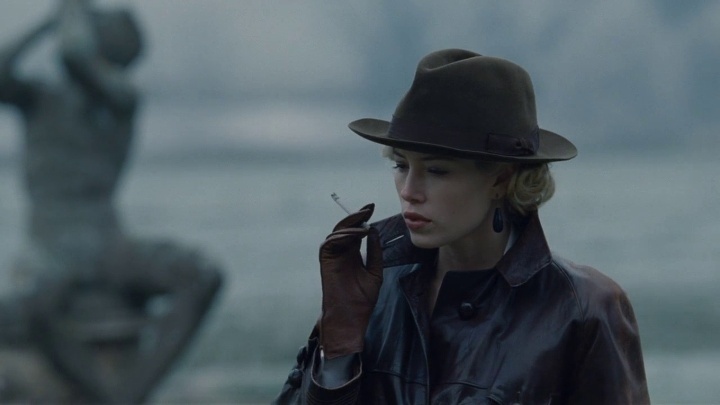 Her car, accessories and wardrobe were all about 10-15 years later than everything else in the film and were specifically chosen for their “futuristic” look. The idea was to make her character look extremely incongruous and the Whitaker family, look antiquated and stale. Kirill: Vintage cars and motorcycles are featured amply throughout the movie as the main passion of Jessica Biel’s character. Do studios have vast stocks of these vehicles, or do you obtain access via more exotic means (museums, private collectors, plaster molds on modern cars)? Mark: Nearly all-period vehicles on films are sourced from collectors or enthusiasts. Michael Geary was our action vehicle co-coordinator. He helped us track down the specific cars required or gave us options based on our brief. Jessica Biel’s car was the hardest. It needed to be silver, stylish & conceivably usable as a racing car but also needed to be a two seater with a trunk, not very common even for the later time period that applied to her character. We ended up using the BMW 328 as it fitted all the criteria except it’s production dates were slightly later than we wanted but it was too good not to use. In the end it all helped to highlight the differences of Larita’s world even further and it was a beautiful car. We used this device again with her motorbike. The bike she finally rides at the hunt is actually a later model than the one she is seen working on with Colin Firth. It was faster and more able to cope with the off road terrain plus it created a far greater juxtaposition with the horses. 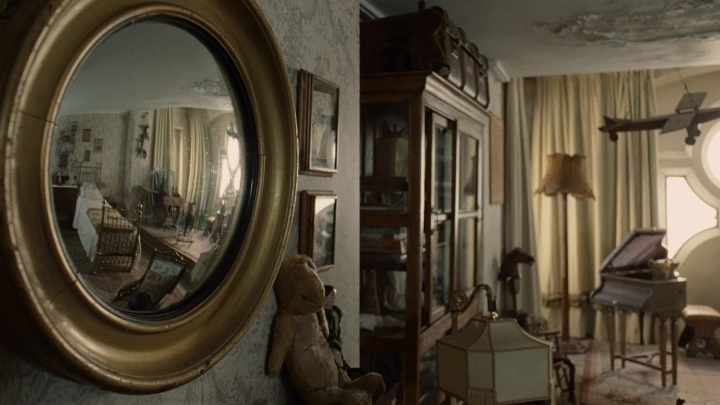 Kirill: Apart from a few short scenes, the story takes place inside the spacious family house. How does a limited environment affect your designs for scenes with different emotional moods? Mark: The house was in fact three different houses, chosen specifically for this reason. 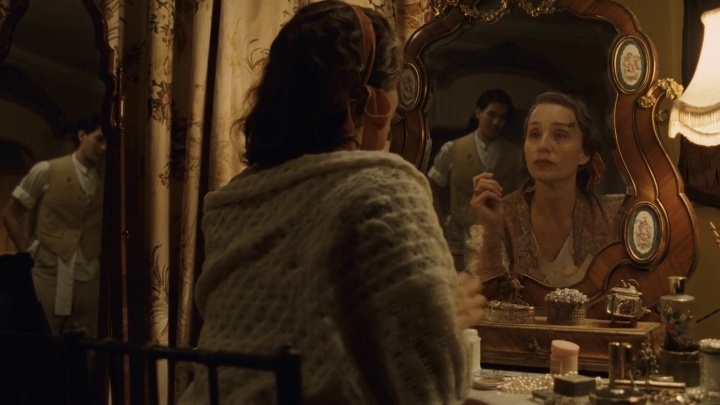 No one house had all the right scale rooms and exteriors for what we required. Blending different locations meant we could have exactly what we wanted in terms of scale and look. Even with this freedom we still couldn’t find the right environment for the re decorated suite of rooms that Mrs. Whitaker offers up to John & Larita. So we built it as a set within the theatre hall that would later become the “War Widows Review.” All the different locations were linked by pieces of set that carried the architecture through from one house to the next so hopefully audiences were none the wiser. Kirill: Do you find yourself planning unrealistically large indoor sets to accommodate multiple camera angles and wide shots showing group scenes? Mark: If you are building sets you normally have the flexibility of wild walls. That is, stretches of wall that can be removed to allow crew, equipment & camera to be outside the room you are filming in. If you are on location you always consider this and plan accordingly. Sometimes it can get a bit cozy in the smaller rooms but there is normally a way of getting what you want. Kirill: Your work has spanned multiple genres, from Geonosis dungeons in “Star Wars” to stalactite caverns in “The descent”. Do you seek challenge working in such a variety of target environments? Mark: The variety is one of the things I like about this industry. As a jobbing Art Director with a mortgage you generally have to take the work that comes your way. I’ve been lucky that most of the projects I’ve worked on have been varied and interesting, one minute you’re researching the past next you are inventing the future. It’s all part of the fun. Kirill: Your portfolio shows an impressive level of detail in your sketches and final constructed sets for TV commercials. How different is your approach for these extremely short, but very frequently viewed spots? Mark: In dollars per second, commercials can be as, if not more expensive than some films and will probably receive more scrutiny. You have three tiers of decision making, client, ad agency & director – all of whom have their own ideas. So they require as mush attention to detail as a film if not more, plus you are normally working within a corporate identity, which is often tricky to balance against the director’s creative requirements. It can make life very interesting. Kirill: How is the movie production craft changing with progressively more movies shot on green screens, creating the entire environments with digital tools? Mark: Certainly we are entering a new era of movie making. The digital palette is growing at a rapid pace. The film I have just finished was a very interesting mix of traditional movie making, tried and tested VFX and absolute cutting edge technology. If the whole thing comes together it will definitely open up some new and exciting possibilities. However I think movies will always be shot in a manner that is appropriate to the subject and story. 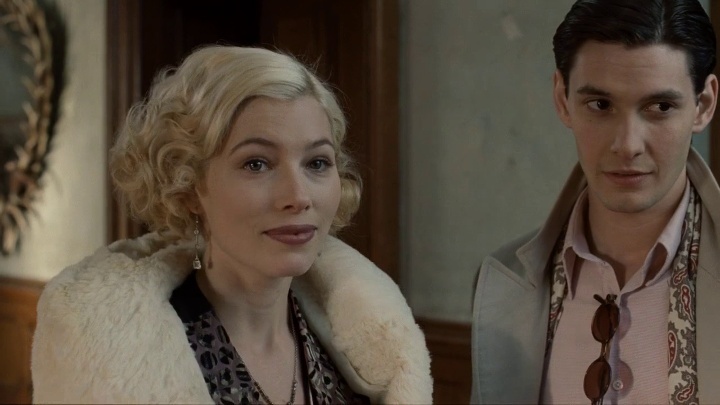 “Easy Virtue” would be shot roughly the same way if were shot now, or in 20 years time. Kirill: What are your favorite movies over the years that you can recommend us? Mark: That is such a broad question, as different movie resonate at different points in your life. I guess the two that have had the greatest impact (aside from Krakatoa & Star Wars) have been Terry Gilliam’s “Brazil” & Terrence Malick’s “The Thin Red Line”. Both movies had a profound effect on me when I first saw them and I still find things in them that amaze me.